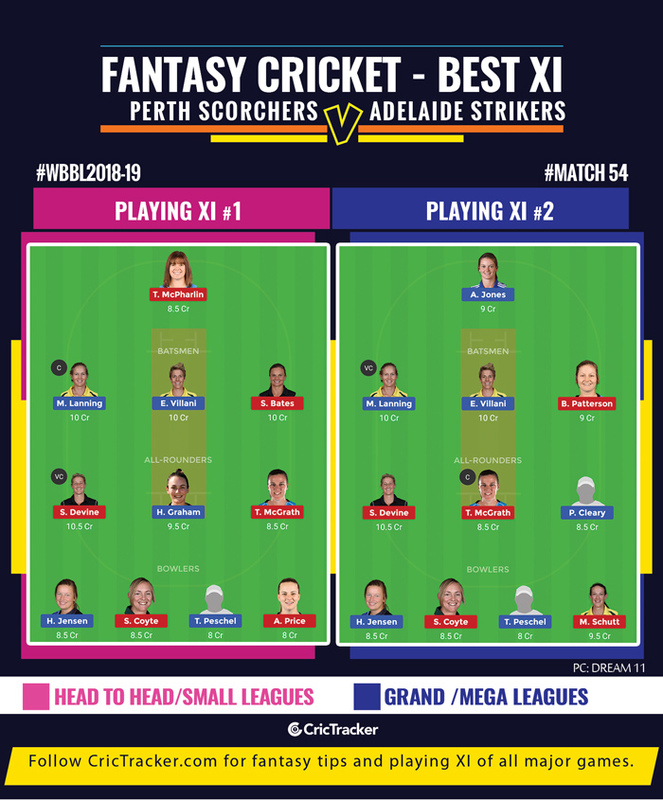 On a likely slower track, Perth Scorchers should be able to conclude with a win. Perth Scorchers and Adelaide Strikers have been knocked out from the group stage following a close 3-run win for the Melbourne Renegades against the Hobart Hurricanes. The Scorchers would’ve still fancied their chances had they not lost to the Strikers on Saturday. Sophie Devine’s fifty at the top helped Strikers finish on 138/7 what looked like a competitive score on a slow track. Meg Lanning’s early wicket made the chase tougher for the Scorchers. Sarah Coyte and Danielle Hazell’s 3-wicket hauls bundled out the Scorchers to just 108. Both the teams will face off once again on Sunday at the same venue that too with same squads as in the game played on Saturday. Scorchers will be hoping to finish with their 7th win of the season. Whoever wins this fixture is likely to finish at No.5 on the points table. Strikers have 11 points from 13 games with five wins and a washout. 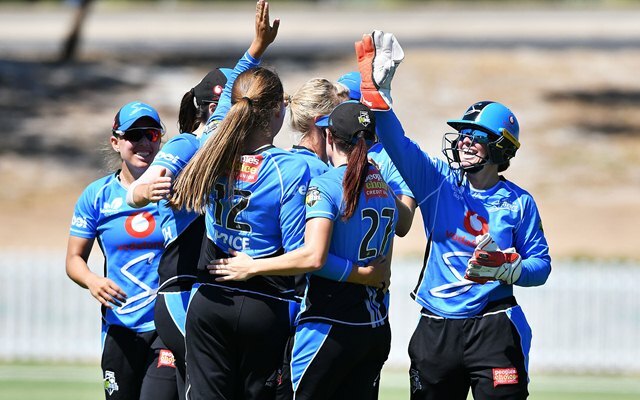 The 54th match of the Women’s Big Bash League (WBBL) will be played between Perth Scorchers and Adelaide Strikers at the Traeger Park in Alice Springs. The match starts at 9:30 AM local time (12:00 AM GMT) (5:30 AM IST). The Saturday fixture between Perth and Adelaide proved that chasing is tough at this venue. The two matches played in the 2017/18 WBBL season turned out to be low-scoring ones. The batting team made 87 and lost by six wickets in the first game and successfully defended 107 on the next day to register a 31-run win. Meg Lanning (C), Megan Banting, Mathilda Carmichael, Piepa Cleary, Kate Cross, Bhavi Devchand, Lauren Ebsary, Heather Graham, Hayley Jensen, Amy Jones, Emma King, Taneale Peschel, Chloe Piparo, Elyse Villani. Meg Lanning has scored four 70+ scores in previous six innings in the WBBL. She is expected to be the best bat in her team’s final game which is expected to be on the slower side yet again. Lanning’s ability to acclimatise to the conditions is the best among both the teams and that is her success mantra. Sophie Devine and Meg Lanning are the first preferred multipliers. Bates and Villani will be tier two set for captain and vice-captain role. The International pacers Kate Cross and Megan Schutt also make up as an option to be picked up as vice-captain. Megan Schutt, Kate Cross and Hayley Jensen cannot be a part of your line-up due to the player cost. Suzie Bates, Sophie Devine, Heather Graham, Meg Lanning and Elyse Villani collectively value 50 credits leaving only 50 for six players.